The year 2016 could be described as the year of ‘governing the Party strictly’ (congyan zhi dang 从严治党)—a slogan and platform promoted by Xi Jinping at the Sixth Plenum of the Eighteenth Party Congress in October. What is both semantically and politically interesting about this phrase is the character zhi 治, a polysemic character (one with multiple, related meanings), which means to govern, regulate, and administer, but is also etymologically associated with zhiliao 治疗, meaning medical treatment, therapy, and cure. This essay explores the implications of viewing governance as a form of medical treatment. 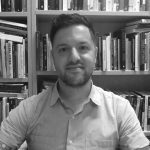 As literary critic and translator Carlos Rojas points out, both Chinese and Western political thought have discursive traditions of ‘viewing the body as a model for the political community’ and using ‘medical metaphors … to comment on a broad range of social phenomena’ (Rojas 2015, 9 and 11). In his recent book Homesickness: Culture, Contagion, and National Transformation in Modern China, Rojas documents how advances in science and medicine—and the discovery of the immune system and germs in particular—influenced the language and thinking of China’s early twentieth century political reformers, such as Liang Qichao, Lu Xun, and Hu Shi. Once in power, one of the core missions of the Chinese Communist Party (CCP) was to heal the wounded and damaged body of the nation. According to the official narrative, national strength, territorial integrity, economic growth, and social harmony ultimately depend on the vitality of the Party ‘organism’ (jiti 肌体). Inverted, however, this could suggest that the Communist Party is parasitic on its host, depleting resources from society in order to nourish itself. The CCP conceptualises itself as a living organism that is self-conscious of its own mortality. In 1949, when the Party triumphantly seized state power, Mao soberly wrote: ‘The Communist Party of China is no longer a child or a lad in his teens but has become an adult. When a man reaches old age, he will die; the same is true of a party.’ Continuing in this vein, Communist Party theory is inflected by an awareness of the inexorable ‘rise and decay’ (xingwang 兴亡) of all incarnations of political power, itself included. This does not mean that the CCP is resigned to going gently into the night. It views political decay as manageable and treatable despite being stubbornly ‘ineradicable’ (wanji 顽疾). Party discourse demands ‘vigilance’ (jingxi 警惕) in order to ‘guard against’ (yufang 预防) any ‘hidden dangers’ (yinhuan 隐患, also translatable as ‘hidden but serious diseases’) that threaten the survival of the organism. This political logic follows a traditional Chinese conception of preventative medicine that, according to François Jullien, ‘invites us to attend to the slightest deviation well in advance of the crisis that will someday result from it … we are surprised by the suddenness of an event only when we fail to perceive the silent transformation by which the malady has logically progressed’ (Jullien 2007, 134–135). According to the Communist Party’s political anatomy, each individual Party member (dangyuan 党员) is a ‘cell’ (xibao 细胞) in the ‘Party organism’ (dang de jiti党的肌体). In 2016, Xi Jinping’s phrase of ‘cellular engineering’ (xibao gongcheng 细胞工程) entered official parlance as an integral component of ‘Party construction’ (dang de jianshe党的建设)—the idea that the Party is never a completed or static entity but a work-in-progress. To achieve its goal of ‘cellular engineering,’ the Communist Party unveiled new norms and standards for ‘intra-Party political life in a new era’ under the rubric of ‘four speaks, four haves’ (sijiang siyou 四讲四有). These new standards exhort Party members to: ‘Have faith when speaking about politics, have discipline when speaking about norms, have moral conduct when speaking about morality, and have accomplishments when speaking about dedication’ (jiang zhengzhi, you xinnian; jiang guiju, you jilü; jiang daode, you pinxing; jiang fengxian, you zuowei 讲政治，有信念；讲规矩，有纪律；讲道德，有品行；讲奉献，有作为). In Xi’s vision of a healthy Communist Party, each Party member calibrates their internal thoughts, words, and actions to the standards established in the Party Constitution. Redolent of the monastic exercise of copying scripture, 2016 was also the year when the Party faithful rushed to hand-copy the Constitution, including one couple who spent their wedding night in the ecstasies of transcription. The Party’s cells comprise of three basic typologies: Party member (dangyuan 党员), cadre (ganbu 干部), and leading cadre (lingdao 领导) with a vast number of different functions, ranks, and sub-types. Although the basic cellular unit is the Party member, it is the Party cadre who is responsible for day-to-day governance, policy implementation, economic development, and social control. Due to their structural importance, cadres also pose the greatest risk to the Party organism. When cadres pursue private interests and indulge their appetites with arrant disregard for the health of the organism, they can become rogue, cancerous cells. The demand that ‘each cell of the Party becomes healthy’ (dang de mei yi ge xibao dou jiankang qilai 党的每一个细胞都健康起来) implicitly acknowledges a pervasive sickness. The scrutiny of individual cells doubles as a form of medical monitoring for abnormal behaviours and patterns. Since Xi Jinping’s rise to power, the CCP has funded research institutes to study the reasons for the collapse of the Soviet Union. According to Beijing’s autopsy of the Soviet Union, the cause of death began with ‘necrosis of the underlying cellular structure of the Party’ (dang de jiceng xibao huai si le 党的基层细胞坏死了) and ‘loss of [cellular] functionality’ (shiqu gongneng le 失去功能了), which resulted in systemic ‘pathological changes’ (bingbian 病变) and, ultimately, death. It would seem that Xi Jinping is convinced that the CCP must govern/treat its own malignant cells before they metastasise and spread throughout the Party. I suggest that Beijing is currently pursuing three different kinds of treatment. The first is preventative—strengthening cadres’ political ‘ideals and convictions’ (lixiang xinnian 理想信念). Here too, Xi Jinping relies heavily on medical metaphors: in 2013, he stated that: ‘ideals and convictions are the spiritual calcium of Communist Party members’ (lixiang xinnian jiu shi gongchandangren de jingshen shang de gai 理想信念就是共产党人的精神上的钙); without them, a cadre is ‘calcium deficient’ (quegai 缺钙) and will be afflicted by ‘chondropathy’ (ruangubing 软骨病, a general term for diseases of the cartilage, such as osteoarthritis; in Chinese, the characters literally mean ‘soft bone’ disease). The second form of treatment requires self-examination (jiancha 检查) of one’s thoughts for engrained and emerging harmful ideas, stubborn habits, and unruly desires. In the early stages of Party history, it was plausibly assumed that most cadres were contaminated with unhealthy patterns of thinking and behaviour inherited from the old, pre-revolutionary society. Mao believed that it was possible to ‘treat the disease in order save the patient’ (zhibing jiuren 治病救人). In his 1945 treatise On the Party, the future president Liu Shaoqi further developed this notion, writing: ‘As comrade Mao Zedong puts it, we must constantly “sweep the floor and wash our faces” so as to prevent political dust and germs from clouding the minds of our comrades and decaying the body of our Party.’ These tropes are permanent features of Party discourse. In a speech at a Politburo Meeting on 18 April 2013, Xi Jinping exhorted cadres to ‘look into a mirror, neaten their dress, take a bath, and have their illnesses treated.’ The Party’s organic composition has evolved since the Mao era (for example, in 2001, the Party began granting membership to ‘capitalists’). But the health of the Party organism remains dependent on the maintenance of a hygienic political environment and the practice of penetrating self-examination. For any examination to be effective, the patient must not hide even the tiniest, most innocuous symptom. Mao also frequently quoted the saying to ‘hide a sickness for fear of treatment’ (huijijiyi 讳疾忌医) from the classical legal text Han Feizi to make the point that cadres ought to be brave and sincere when confronting and admitting their faults. There is also a striking similarity between Maoist discourse and Michel Foucault’s explanation of the role that avowal played in Christianity, which has ‘bound the individual to the obligation to search for a secret deep within himself and in spite of everything that might hide this truth—a certain secret that, when brought into the light of day and manifested, must play a decisive role in his path toward salvation’ (Foucault 2014, 92). In both conceptual universes, an individual is merely the vessel of a greater truth. In Maoist China, one of the main instruments to obtain self-knowledge of the secrets (one may not know one kept) lodged deep within was the written ‘self-criticism’ (ziwo piping 自我批评). It is still used today. In 2013, Xi Jinping warned that the Party ‘must not discard the weapons of self-criticism and criticism to protect itself and treat its own illnesses’ (bu neng ba women fangshen zhibing de wuqi gei diudiao le 不能把我们防身治病的武器给丢掉了). Under the knife of the self-criticism session, the daily routine of self-examination is elevated to a highly invasive, fraught, and often risky process of ‘self-dissection’ (ziwo pouxi 自我剖析). On 25 May 2016, the novelist Yang Jiang passed away at the age of 104. Her novel Baptism (xizao 洗澡, literally, to bathe), translated into English by Judith M. Amory and Yaohua Shi, contains a vivid literary account of self-criticism and ideological disease. The story is set at a literary institute in Beijing in the early years of the People’s Republic of China. Its main characters are intellectuals who must perform self-criticisms of their indiscretions and insincerities in order to ‘wash off’ the dirt from the old society. In the novel, the Party cadre Fan Ertan stipulates the guidelines for self-criticism: ‘The first priority is not to fear the shame of revealing those hidden, dirty parts. The second is not to fear the pain of scrubbing those parts clean, or of digging or cutting them out’ (Yang 2007, 212). One character describes her attitude as a process of ‘cutting my heart open, to encounter the masses sincerely’ (Yang 2007, 234). Another flinches from the pain of seeing ‘the true nature of his rotten flesh’ (Yang 2007, 265). As Yang Jiang’s novel suggests, such searing political vivisections left behind permanent somatic and psychic scars. In the Mao era, self-criticisms were frequently read aloud before an audience of the masses (qunzhong 群众), which could range in size from a few co-workers to a packed stadium. The assembled masses judged the ‘sincerity’ of the confession and would often prescribe a deeper investigation, involving another ritual of humiliation and control. These days, high-level cadres found guilty of corruption may have to recant their political sins and recite their written repentances in public—before a television camera. Toward the end of 2016, the Communist Party’s Central Commission for Discipline Inspection (CCDI) and CCTV co-produced an eight-part reality TV series called Always on the Road (yongyuan zai lu shang 永远在路上), showing cadre confessions spliced with gritty biographical details. Mediated and disseminated via networked technologies, self-criticisms are now recorded as performances without an audience, such as in TV studio green rooms, courts, and jail cells. The unstable element—the masses—has been removed from the picture. No longer passionately engaged actors in the pageant of revolutionary history, ‘the people’ have been reduced to passive audiences. In 2016, the phenomenon of choreographed contrition continued to spread to include ‘troublesome’ journalists, human rights lawyers, and foreign citizens. On a certain level, whether or not these confessions were coerced or voluntary is beside the point; they are intended as demonstrations of Party control and examples of normatively desirable behaviour. The third form of treatment is amputation. Party leaders must be willing to ‘sacrifice the local [necrotic tissue] in order to protect the whole [organism]’ (xisheng jubo, zhaogu quanbu 牺牲局部，照顾全部). In 2014, Xi argued that the Party needed to ‘scrape the bone of poison’ (guagu liaodu 刮骨疗毒) and even resemble the ‘warrior who severed his [poisoned] wrist’ (zhuangshi duanwan 壮士断腕). Both of these phrases originate from classic stories in which a warrior severs a limb to prevent poison from spreading throughout his entire body. Official media have described Xi Jinping’s anti-corruption campaign as a prescription of ‘harsh medicine’ (mengyao 猛药) to cure the Communist Party of its mortal ailments. But it comes with side effects. The ‘cells’ being targeted by this ‘medicine’ might react negatively to it. In March 2016, an anonymous letter signed by ‘loyal Communist members’ called for Xi Jinping to resign from power ‘out of consideration for [his] personal safety and that of [his family]’. People believed to be associated with the letter were, in turn, detained by the State Security apparatus. There is a significant risk that the Party’s immune system (mianyi xitong 免疫系统) will begin to act in an auto-immune manner. Auto-immune disorders occur when the immune system goes into over-drive and begins to attack the body’s healthy cells and tissues. According to Italian philosopher Roberto Esposito, ‘what is certain is that in all these cases [of auto-immunity], an “overactive defence” of the body in seeking to strike at the enemy also causes harm to itself’ (Esposito 2011, 163). In both political and medical worlds, the drive to protect life may end up destroying it. At the end of 2016, the CCP was still undergoing treatment, and had yet to enter a period of remission and recovery. If Xi’s anti-corruption campaign continues at such high dosages, it might revitalise the Party organism or substantially weaken it. From an external vantage point, delivering a prognosis would be unreliable at best and irresponsible at worst. There is already enough quack medicine in circulation. What we can do, though, is listen to the words the Party uses to diagnose itself, for they reveal much about the health of China’s political world and how those who govern it are feeling. Download References [PDF]. 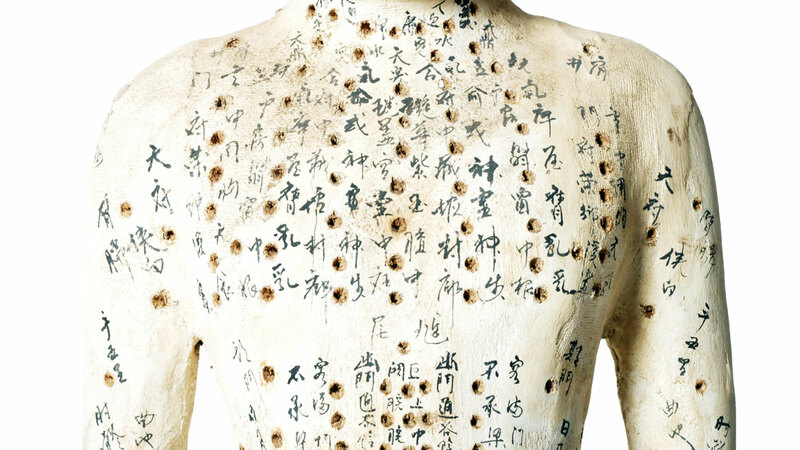 Photo Credits: Chinese Acupuncture Model, by The Golden Triangle. This article was originally published in Jane Golley, Linda Jaivin, and Luigi Tomba (eds. ), China Story Yearbook 2016: Control, ANU Press, Canberra, 2017. The book is open access and can be downloaded at this link: http://press.anu.edu.au/publications/china-story-yearbook/control.